So old age aside (no offense to anyone, I just feel old, body does at the very least), my brain seems to have found a black hole where it keeps track of time. Time just disappears. Sometimes I wish I can walk the space-time continuum or find the mad man with the blue box (a shout out to Doctor Who and the TARDIS for those who are unfamiliar). I had some cool photo shoots planned that I was going to share with you guys since July. Alas, the shoots didn’t work out and next thing I know, the months keep passing by. Can’t believe this month is 2/3 over already and I’m already looking at things I’m doing next month. During my unintended hiatus from writing here, I was watching a class taught by Jack Davis on painting with Photoshop on CreativeLive. Jack has amazing skills in Lightroom and Photoshop, turning photos into more than amazing photos. 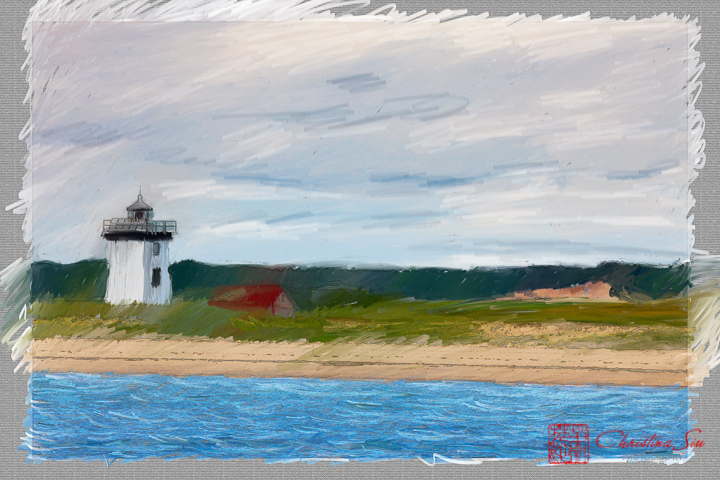 In this class he shows the audience step-by-step how to create a painting in Photoshop from your photos. I enjoy watching his classes tremendously, partly because of his humor, his laid-backness (yes, new word), and the soothing way he talks. He was talking about Bob Ross and I do have to say that Jack does have that similarity about him. For those of you who don’t know Bob Ross, he used to teach painting shown on PBS. His voice was very soothing as he tells you stories while teaching you how to paint. He did amazing landscapes. But, back to painting in Photoshop. I thought since fall was coming up (at the time), I’d try painting one of my autumnal photos taken when I started Hallmark since I was still waiting for leaves to turn. I have to say it was an epic fail. I tried a couple of versions, which I wish I had saved so I could show you. The edges of the trees weren’t definable so the painting just turned into one big ugly brown mess. 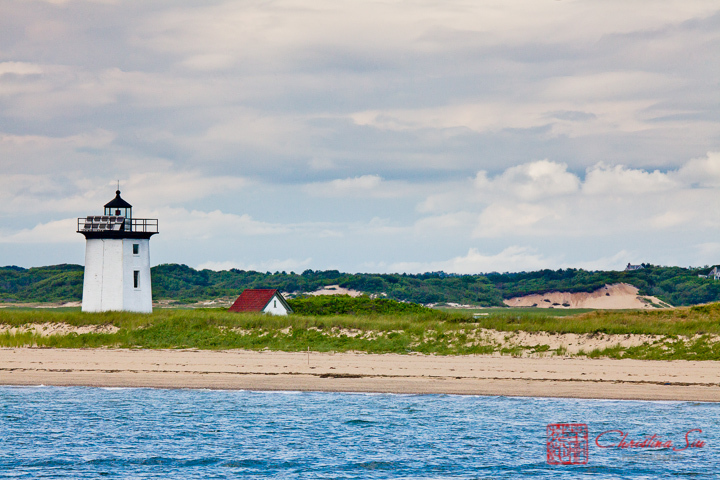 I eventually decided to try a lighthouse scene taken in Cape Cod. I think it came out alright, albeit a bit rough. Left is the painting and the right is the photo used. I’ll be experimenting more in the future, including photo tinting. I’ll let you guys know how it goes. In the meantime, have safe and fabulous holidays.